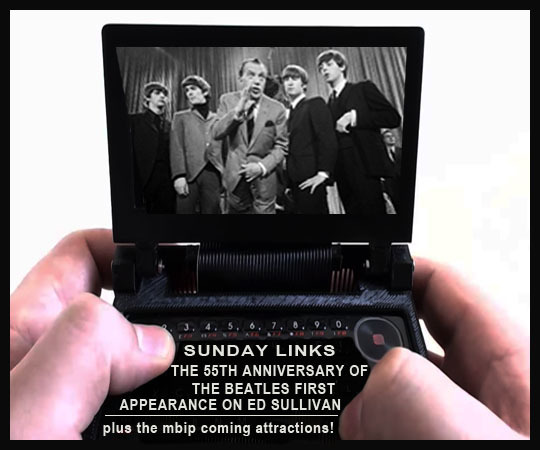 Sunday Links: The 55th Anniversary of The Beatles First Ed Sullivan Appearance - Plus: The MBIP Coming Attractions! This is impossible to believe, but yesterday was the 55th anniversary of The Beatles first appearance on The Ed Sullivan Show. I was five-years-old at the time and going to kindergarten at Sacred Heart school in Louisville, Kentucky. Sister Gabriel who was our teacher told us the next day that it was a sin for a boy to wear his hair like that! I’m going to tell that story in detail at the next Marty Monologues show in April. That was a moment in time I’m glad I got to witness. Beatlemania was something that hit our culture and changed the world. And it all started with this one TV show. Below are six links about this historic musical moment in time and then we move forward with the MBIP Coming Attractions. The Story Behind The Beatles on Ed Sullivan - This is a great story of not only the show and all the songs The Beatles played on The Ed Sullivan Show, but how they got booked for the show in the first place. 10 Facts About The Beatles' 'Ed Sullivan Show' Debut - One thing I didn’t know is that one of The Monkees was on The Ed Sullivan Show that night too! Click on the link to find out which one. The quote from Ed Sullivan’s musical director is hilarious too! 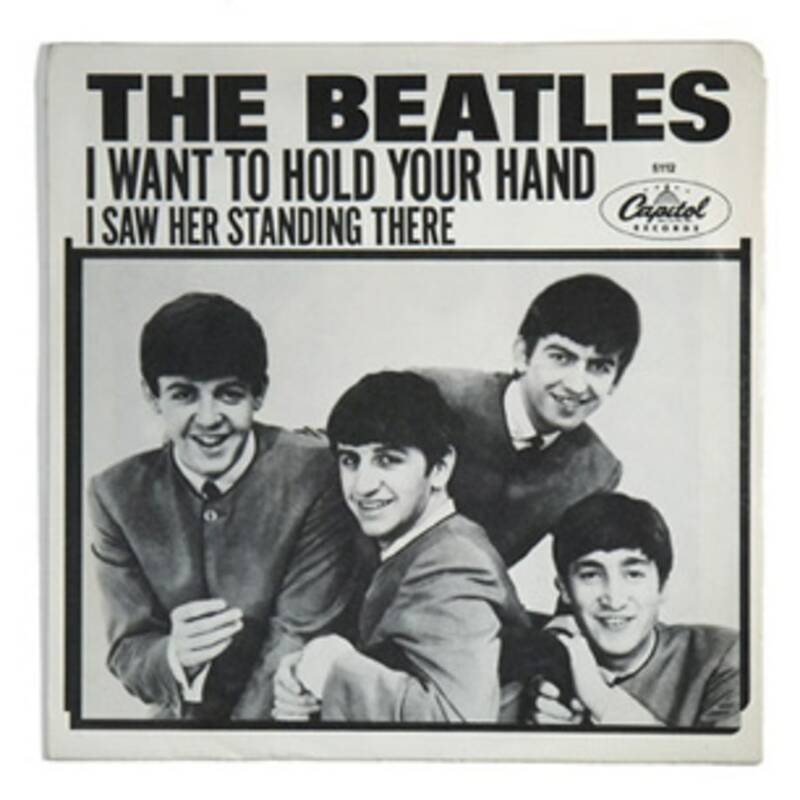 On This Day: 55th Anniversary of The Beatles’ American Debut on the Ed Sullivan Show - There’s quotes from all four Beatles about the show and Mick Jagger and Bruce Springsteen chime in about the show as well. What Was It Like To Witness The Beatles’ American Debut On Ed Sullivan, On This Day in 1964? - One man who was eight-years-old at the time remembers watching the show and the impact it had on his life. Andrew Solt, Owner of ‘The Ed Sullivan Show’ Archives on the 55th Anniversary of ‘The Beatles’ First American TV Appearance - This is an interesting WGN radio interview with Andrew Solt who owns the Ed Sullivan archives which consists of over 10,000 performances including that memorable, magical night of February 9, 1964. Four lives and the Fab Four - This article documents how the show affected four people who watched it, including the aforementioned Andrew Solt. Yesterday was National Pizza Day, so I went to Peoria’s newest Pizza Parlor and bar, Tavern 41. Even though it just opened up months ago, this place is rich in history, one of the owners is Chris Herold who’s family ran the popular Pizza Inn from this location for decades! It’s where I first met Chris back in 2013 and he was there last night so it was a fun reunion! Tuesday we continue the 13 month chicken tour and I found another spot to sample chicken and waffles, tune in to find out where I had this elusive dish at! Wednesday I’m going to feature the new outside sign at Ribbon Records and we’ll also take a look inside at their expanding inventory of records, vintage clothing, books, comic books and other interesting items for sale in there. It’s a place filled with hidden treasures! And I’m so happy they finally have outside signage! My friend Chris Holbrook died of cancer last August and some of his artwork is on display at Bradley University. This is the last week for the retrospective and I’m going to go and take photos and post them on Thursday so his work will be documented online after the show closes. Friday will be another blast from the past with another Retro photo from over six years ago on MBIP and then Saturday will be another hairy beard update. Have a good Sunday and try not to think that the dreaded Monday is less than 24 hours away! Drinking helps make those thoughts disappear, have fun everyone! Related Posts: Sunday Links: Groundhog Day, Bob Einstein/Super Dave Osborne and The Munsters.